Cast audio directly from your favorite Windows programs. With Jamcast you can stream from Spotify, iTunes, web browsers, and more to millions of devices. Jamcast works with most popular audio-enabled applications including Spotify, iTunes, Windows Media Player, and web browsers. 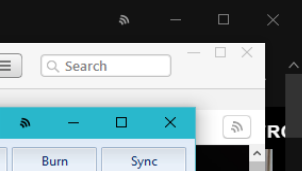 A Jamcast button appears in the application title bar for quick access. Jamcast even includes custom buttons for Spotify, iTunes, and other themed applications! 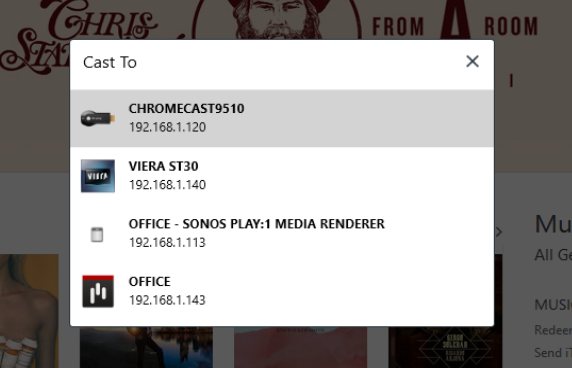 Whether you've got a Sonos system, a Chromecast device, a connected television, or even a mobile smart device, Jamcast can stream to it. Jamcast works with all of the latest media streaming protocols. 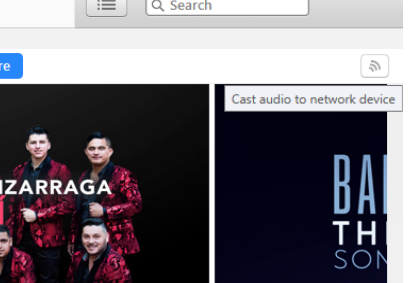 Simply click the Cast button, select a device and enjoy the music! Ready to Jamcast? Let's get started.